Learn what you need to know to prune hydrangeas with confidence. 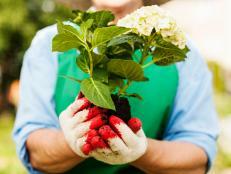 When to trim hydrangeas is probably one of the most confusing aspects of caring for hydrangeas. 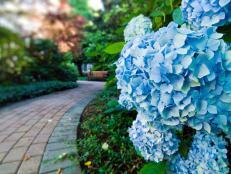 More homeowners stumble over this task and wind up cutting back hydrangeas at the wrong time — and jeopardizing the flower show. Get the scoop on when to tackle cutting hydrangeas. 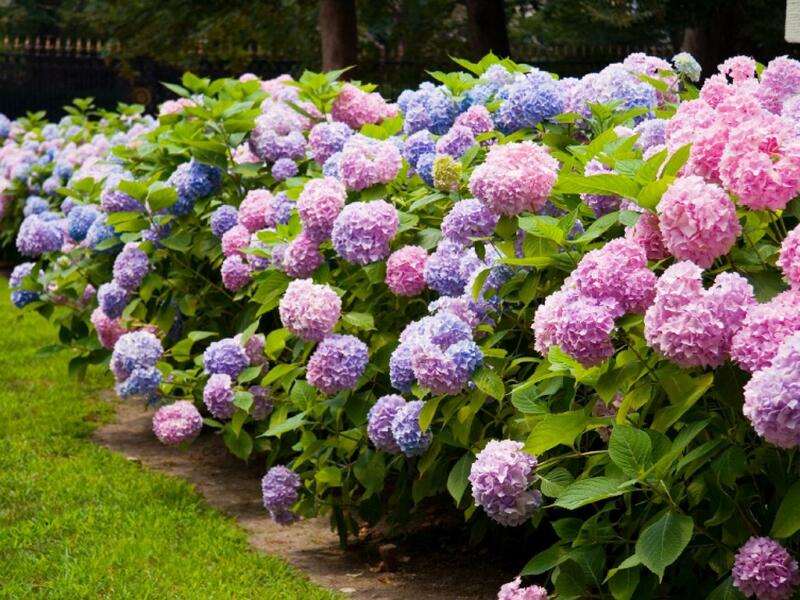 In general, many hydrangeas don’t demand any pruning. 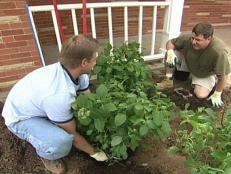 There are two main reasons to prune hydrangeas. 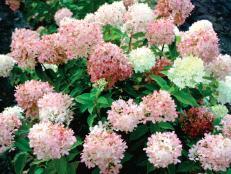 You should trim hydrangea when necessary to remove dead or damaged stems. This is usually done after winter, when some stems die from the cold, but you might also need to cut back hydrangeas after storm damage. The other major reason to tackle cutting back hydrangeas is if these plants out-grow the space they’re occupying. It’s tough, though, to use pruning hydrangeas as a way to control plant height. You’re better off transplanting and moving hydrangeas to a spot where they can grow to their natural height — without pruning. Pruning hydrangeas can keep these showy shrubs in tiptop shape and peak beauty. The trick is that if you prune hydrangea improperly, you don’t just risk a strange looking plant, you might eliminate the flower show. 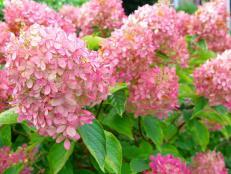 The first step in pruning hydrangeas is to determine what type of hydrangea you have. 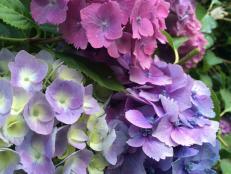 Different hydrangeas demand different pruning strategies. Some hydrangeas flower on old wood — stems that grew the previous year. During summer, these stems form flower buds, which remain on stems through winter. Late spring freezes can damage these formed buds. If you prune those stems in early spring, you are actually cutting off the flower buds for this year’s show. 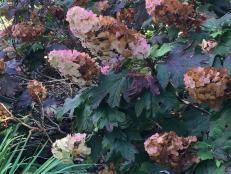 The right time to tackle cutting back hydrangeas that bloom on old wood is right after they finish flowering. Other hydrangeas flower on new growth — on the stems that form each growing season. With these plants, cutting back hydrangeas is an early spring chore. Which hydrangeas flower on old wood? The group includes French hydrangea (Hydrangeamacrophylla), lacecap hydrangea (Hydrangea macrophylla normalis) and oakleaf hydrangea (Hydrangea quercifolia). Prune hydrangeas in this group immediately after flowering, before new growth begins. If you’re growing a newer repeat blooming Hydrangea macrophylla, it flowers on both old and new growth. With these hydrangeas, you can prune at any time and still anticipate some flowers, but you’ll get the best show if you cut older stems only right after flowering. Smooth (Hydrangea arborescens) and panicle hydrangea (Hydrangea paniculata) flower on new growth. Prune hydrangeas like these in late winter or early spring, as new growth is appearing. 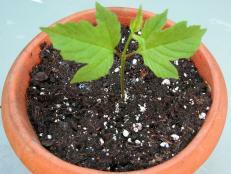 You can shorten existing stems or cut stems to the ground if winter has killed them. 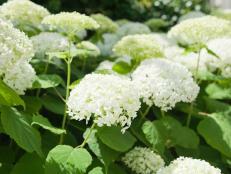 With these and all hydrangea shrubs, if you choose not to prune, you’re not hurting the plant.